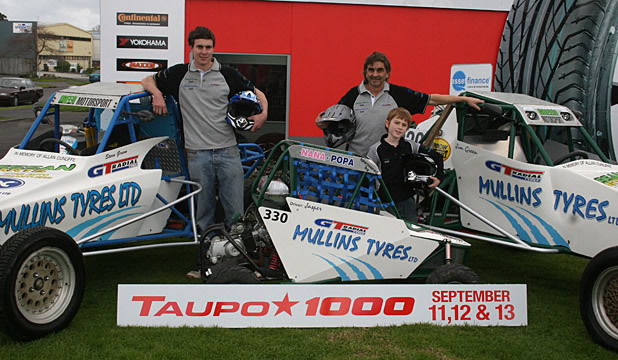 Mullins Tyres have a number of sponsorships that we continue to support with sponsorship of teams and families in Motor Sport, whether in Go-Karts, Midgets at Western Springs or mini off-roaders on dirt tracks. 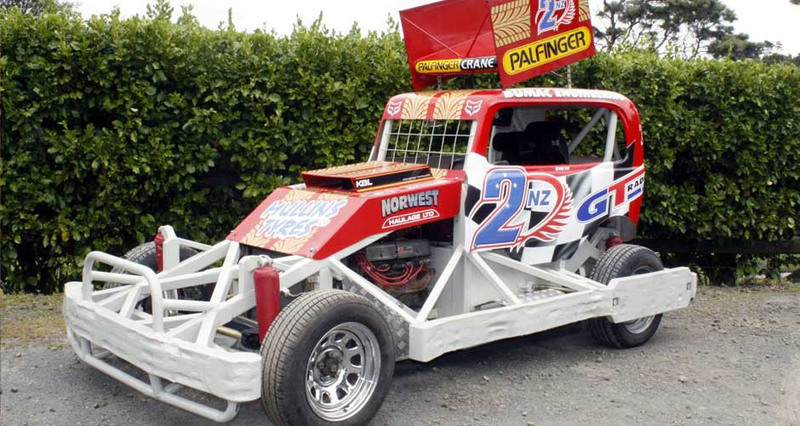 Niall Dow, owner of Mullins Tyres, spent two years racing Stock Cars at Waikaraka Park, Onehunga followed by six years racing Saloon Cars on dirt tracks in Papua New Guinea. Held every two years, the Taupo 1000 is a 4 day event held in Taupo and the only International Off-Road race on the New Zealand motor sport calendar. Mullins Tyres have been the exclusive tyre supplier and supporter for the last 8 years and we attended the most recent Taupo 1000 event with a team of 6 cars and 26 staff. A very full on weekend resulted in two drivers on the podium plus award for Best Presented Team which was a very satisfying result. 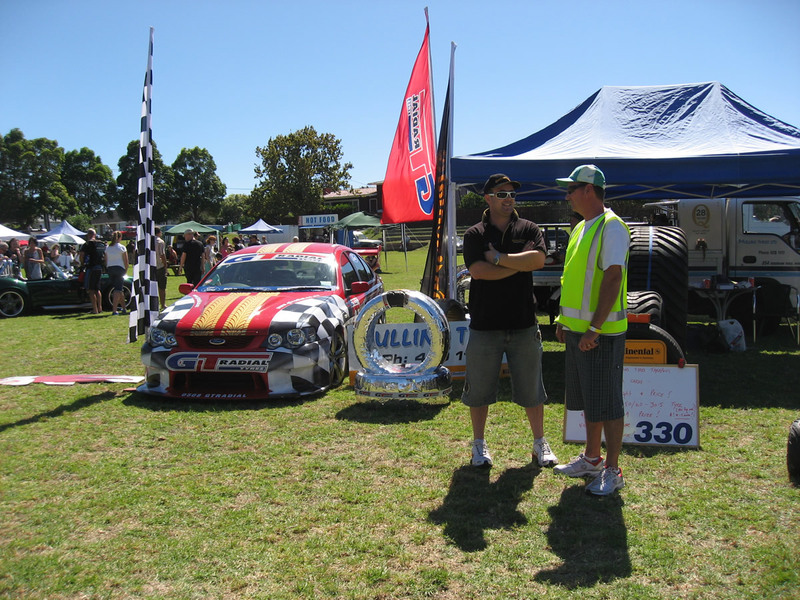 Our association with GT Radials has produced very reputable and enjoyable years of racing. The last Taupo 1000 was held in September 2013 and the event has been renamed to NZ 1000 and will be raced in Tokoroa in September 2015. Watch this space for Mullins Tyres results in the first NZ 1000. Mullins Tyres have been privileged and proud to be part of the Fox Racing Team for the last four years. Bernie managed a New Zealand #2 finish in the New Zealand Titles held in Palmerston North and was always out in the best scraps of the night and every race meeting. He has also been a member of the Auckland Stock Team. In 2013 Bernie moved on to Superstocks and although hasn’t achieved a Title has continued his reputation as a hard hitter and determined to win every race. Bernie is probably “living the dream” with returning to Stockcar racing years after he retired like the rest of us, but somehow his body doesn’t seem to feel the pain. Well done Bernie Fox and the Fox Racing Team, you do us proud. 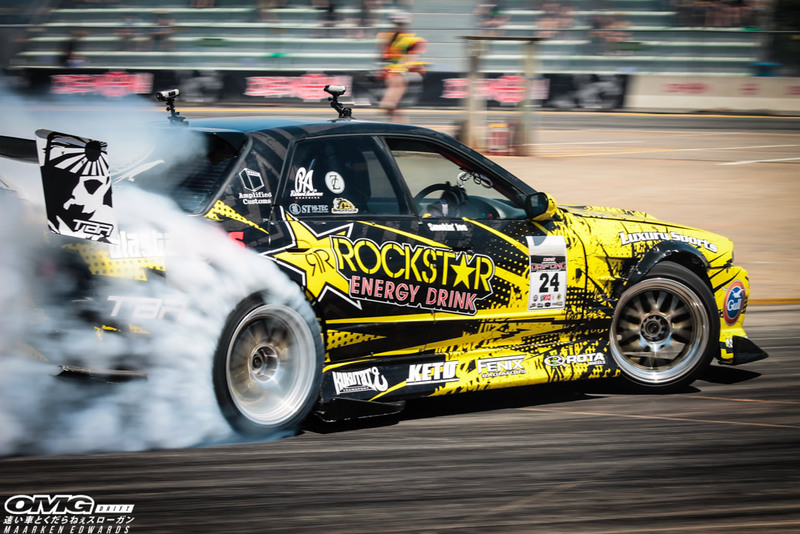 There aren’t many Drift Car Events held without Smoking Joe Kukutai being part of the advertising. Joe has developed his style and reputation for the last 3 years while still at school and constantly in the limelight for his casual and natural drifting style. Joe’s Dad, Danny and Mullins Tyres are very proud to be part of Joe’s future in drifter racing. Mullins are proud supporters of the Annual SPCA HotRod and Auction Day at Mangere in September.